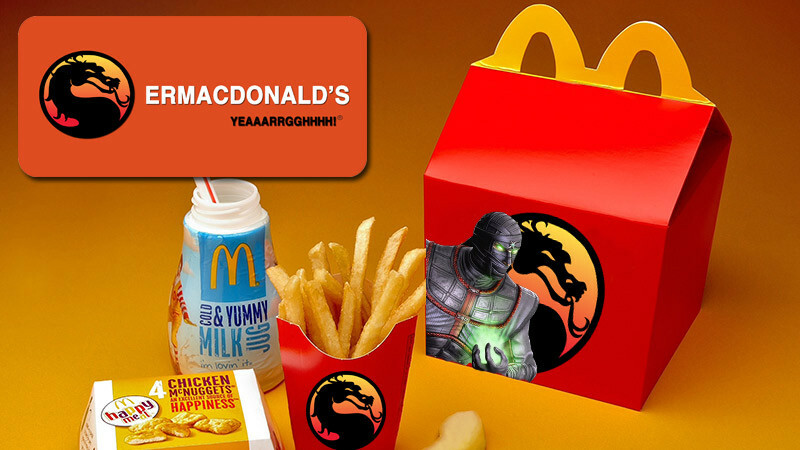 I’ve been digging the build-up towards Mortal Kombat X so far. Beyond the hands-on time and getting plenty of info on the more esportsy nature of this particular brawler, the game has also been releasing tidbits of information on each fighter that will be available, as a fresh mix of new and old kombatants will be present, ready to shed some crimson bodily fluids. So far, we’ve seen the return of two series favourites in Kung Lao and Reptile. And it looks like another fan favourite character is crossing over. In case you haven’t figured it out, that’s comedian Bernie Mac up there. Which sounds an awful lot like Ermac to me. Yessir, the soul-train of ninjas may be on his way to Mortal Kombat X at long last, after much begging from the fans. He’s a cool character, and over the years has become more than just a red palette swap of Scorpion. He’s an entire legion of slain warriors, all combined into one killer that originally served Shao Kahn before one particularly strong-willed spirit managed to wrest control of the power and presence of Ermac and rebel against the Outworld warlord. He’s also a permanent fixture in many a tournament thanks to his skillset, something that competitive fans will be happy to have once again. Expect a proper trailer and reveal tomorrow then. Next article New SUICIDE SQUAD casting rumors include Karl Urban, Ed Harris, Jason Clarke and more!